Before I begin, I want to make it clear that UVA is walkable. There’s almost no chance that you’re going to want to get somewhere on Grounds and not be able to get there on your own two feet. Even students who live off-Grounds are able to hoof it in thirty minutes or less. The walkability is a huge advantage– driving to campus isn’t a thing here, and while buses can be convenient, in most cases they aren’t absolutely necessary. But say you have a tight schedule. You have one class on one corner of Grounds and another on the opposite side and only ten minutes to get between them. Or perhaps you need to get somewhere quickly out of the blue. Maybe you just want to cruise around for a bit and glide down McCormick Road. In any case, the solution sits at a big blue beautiful rack near you. UVA is one of few schools to have its own bikeshare program. Bikeshares are big in cities like D.C. and New York City where they allow people to easily and efficiently commute without congesting the streets or getting stuck in traffic. People can grab a bike from any hub, ride it to any other, and lock it up and forget about it. No maintenance, no worries of theft, just the fun and simplicity of a bike ride. But how the heck does it work? Well, Prospective Student, as a certified UBike Ambassador™, I’d love to tell you all about it. Ubike.virginia.edu is the only website you’ll need during your four years in college. Here, you can register in the UBike system and make your account. There are two main plans to choose from, either hourly or monthly. For sporadic users, hourly makes the most sense. This is for people who might ride every once in a while or just want it in case they get into a pickle. You’ll only be charged when you’re actually riding the bike, and it’ll cost $3 / hour (it’s proportional though, so if you ride for 30 minutes it’ll charge you $1.50). Otherwise, monthly is the best bet. This plan allows for an hour and a half of riding time per day. Considering that most rides between classes will take only a few minutes, this is a ton of time. But how much will this cost? I’m happy to say that UBike will only run you $5 / month. There are 21 hubs around Grounds. You can check out a bike from any one of them– between all hubs, we have about 120 bikes total. UBike also has a handy app called SoBi, short for Social Bicycles, available for all mobile devices. This app allows you to look at the map of the system and see how many bikes are at each hub ahead of time. You can also use the app to reserve a bike for yourself. This way, you’ll never be blindsided by an empty rack. Now’s the fun part. UBikes have three gears that you can adjust for going up or down hills. The left handle also doubles as a bell when you twist it in case you need to get someone’s attention or just want to celebrate the fact that you’re on a bike. Once you start riding, you might not want to stay on Grounds. Never fear. You’re free to ride anywhere you like as long as you eventually return the bike to a hub within an appropriate time frame. And if you want to ride somewhere and hang out there a while, UBike’s got your back even then. At any point, you can dismount and put the bike on hold for up to two hours every day. You can do this anywhere, and during the period no one will be able to take that bike but you. In practice, this means that if you and your friends want to go grab dinner or see a movie on the downtown mall, you can hop on UBikes, make the ~10 minute ride, put the bikes on hold on the mall, and then come back after you’re done. Dinner, movie, UBike. Now that’s what I call a dream date. Now that you have this extensive UBike knowledge, maybe one day you’ll end up like me, idling down the road, straw hat askance, taking the road less travelled and taking it easy, aiming for the horizon and maybe even daring to dream you’ll make it there. I’ve been riding for years, four years of peddling without a single glance back. It’s a simple life. Sometimes it makes you wonder. Yet I’ve never wavered from my wanders. Each dawn, as I dust off my saddle in the red morning glow, I wouldn’t wish to be anywhere else than the bike lane of the open road. And I wouldn’t trade my companion for anything. It’s me and this UBike until our tires go flat. And if I see you along the way, I’ll tip my hat. To kick off our regular posts, we thought we'd begin at the beginning with an insider scoop on UVA's annual opening ceremony. 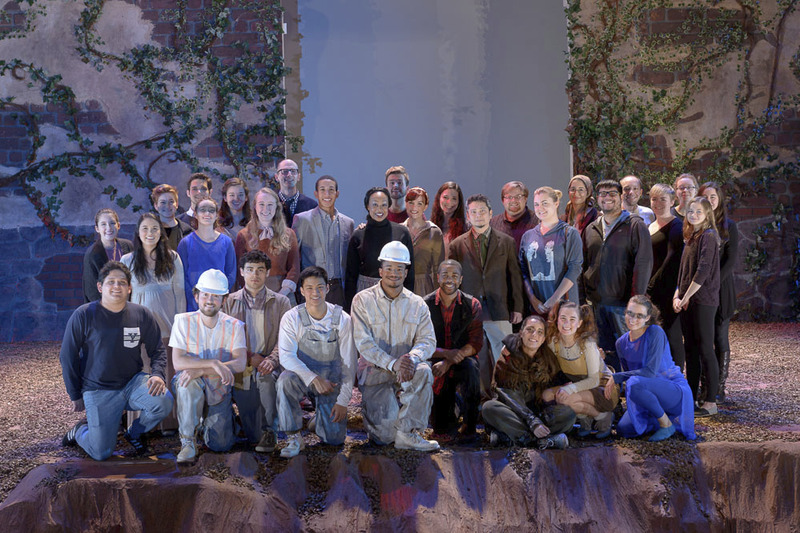 This will be your first major University event– read on for an idea of what that will entail. –Ed. I panic because it has the potential to be a word that I might mispronounce. What does it even mean? Why do people keep mentioning it? How does it pertain to UVA? It’s Brynna again, and I’m here to answer all of these questions. I sure asked similar questions before I attended first-year convocation last August. My hallmates and I at our convocation in August 2017. Seriously, what is a “Convocation”? According to the dictionary, the word “convocation” means a large gathering or assembly of people. seated and facing the Rotunda, the first weekend of the academic year for this event. Why do students face the Rotunda? The Rotunda is the center of UVA. Built in 1826, this building was the first library of the University. world with what they’ve learned over their four years. Look at it! Teeming with knowledge to be learned by YOU! Should I sit somewhere special? Are some seats better than others? student sitting in the seventh chair in the seventh row to read a note to everyone in attendance. something you’re interested in, by all means go for it. I heard everyone gets a nickel? 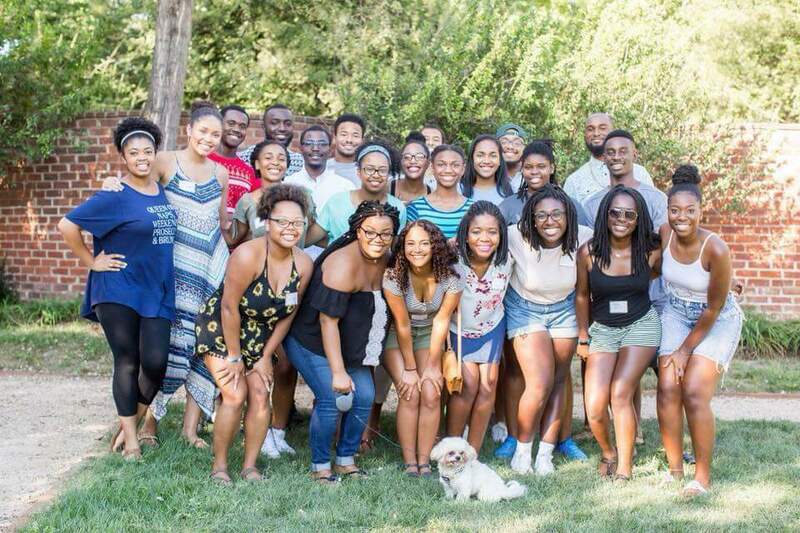 serve as reminder to give back to the UVA community after you graduate. Do we ALL sign the Honor Pledge? Wouldn’t that be a crazily long line? organize the line and make sure that everything is moving smoothly. But what happens during the ceremony? One of the most exciting and fun parts of the ceremony, however, involves singing. this first time. Either way, it’s your first moment as a true Hoo, which is what Convocation is all about. Whether you don’t know a single word to the Good Ole Song or you end up reading the Seven Society letter, Convocation is your first event as a member of the UVA Community - so embrace it! If you have any more questions or want me to write about something specific, please feel free to email me at bmg5bg@virginia.edu. See you later incoming hoos! It’s Joshua, and I’m supper excited to be a Peadbody intern for a second summer in a row! I am a rising Forth year majoring in Spanish and History and I am from Greene County, Virginia. During the 2018 Spring semester, I was enrolled in five Spanish classes and interned as a teacher’s assistant in Valencia, Spain. It was hands down the best semester of my life. When I’m not improving my Spanish skills or completing History readings, I’m usually biking, playing inner-tube water polo at the Aquatic and Fitness Center, or just hanging out with my friends in OneWay Christian Fellowship where I will be the worship leader next year. 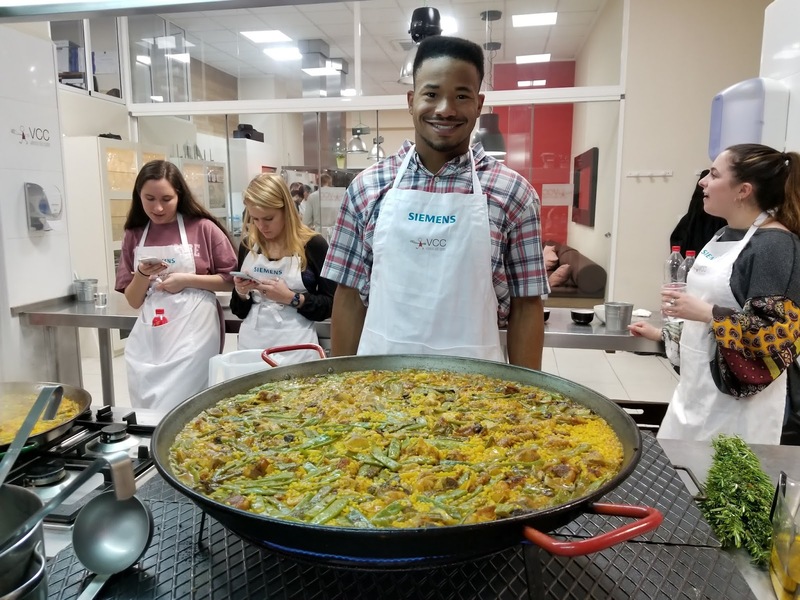 This summer, I will be writing about everything you need to know about on-Grounds dining, how to stay physically active at UVA, double majoring, study abroad, and opportunities available for students who choose to stay in Charlottesville during the summer. So, save Hoos Stories to your Favorites and get ready for my future post! 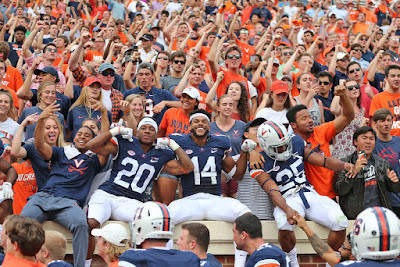 Now it’s time for pictures from a few of my favorite memories at UVA. 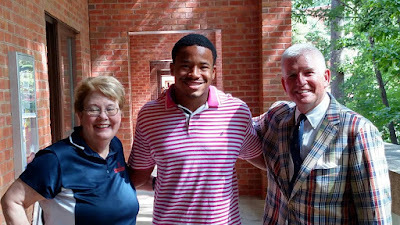 During my First-year move-in day, President Teresa Sullivan and Dean Groves dropped by to say hello! 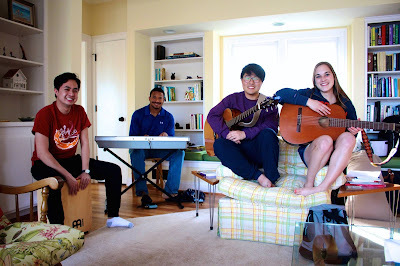 I spent my spring break in Charlottesville to learn more about social justice and was also able to be a part of a worship team through an Intervarsity Christian Fellowship program. 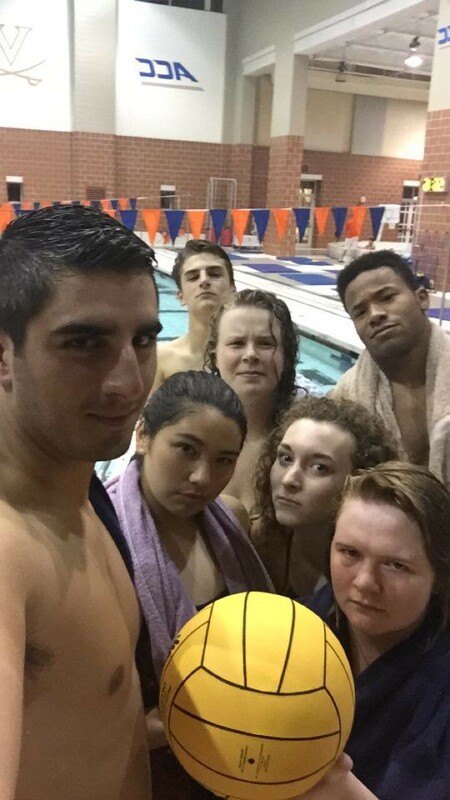 Here is a victory photo after a glorious game of inner tube water polo. A friend encouraged me to audition for UVA's version of Blood Wedding by Federico Garcia Lorca and I found my hidden talent as an actor. I sit at the front of every football game and one day, this happened! On a nice warm Saturday evening, my OneWay Christian Fellowship family decided to have a cookout in one of the Lawn's gardens. 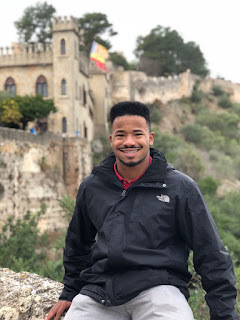 Studying abroad last semester was amazing! I lived with a host family, traveled around Spain, and even learned how to cook the famous Valencian dish, paella. That does it for now. Remember to visit Hoos Stories again for my future post. If you are visiting Charlottesville this summer, feel free to hop on one of my tours! I’m a HUGE foodie. I love any and all kinds of food and I’ll eat pretty much anything. Lucky for me I grew up around here so i’ve got a lot of the best restaurants in town mapped out pretty well (shoot me an email if you want some good restaurant recs, cville is most definitely a foodie city!!) I’m a big fan of Tasty videos and am always trying to recreate what I see in the videos, so if you know of one that is particularly mindblowing please lmk because odds are i’m gonna wanna make it. Go to Thursday night Sunset Series on Carters Mountain. This is something you HAVE to do when you come to UVa… there’s nothing better than sitting on the mountain and watching the sunset, all the while putting away a half dozen donuts single handedly!!!! I’m a bigggg virginia sports girl. I go to all the football games (even though we’re not too good i’m a loyal fan and you’ll catch me at all of the games in the fall). Basketball, baseball, soccer, lacrosse, you name the sport and i’ll be there cheering on the hoos!! Lighting of The Lawn is my personal favorite event that UVa has during the school year that is incredibly popular and brings the entire student body together to relax and unwind before finals start up. Hi everyone! My name is Ashley and I am a rising third year studying Kinesiology. I’m super excited to spend my summer in Charlottesville while interning in the Office of Admission. I can’t believe that I’m halfway through my time here at UVA so here’s a picture of me smiling through my sadness/pain/heartbreak. I love a good sunset. Carter Mountain has a great view so I would highly recommend going to Thursday evening sunset series. I love food but only recently started to enjoy cooking. I’m actually vegan so look out for my post coming up soon all about eating vegan at UVA. Charlottesville definitely has some great options so I can easily find a restaurant that my meat-eating friends will also enjoy. I love conspiracy theories. I won’t go into detail here but a few of my favorites are all about Mattress Firm, Britney Spears, and Avril Lavigne. There’s also a UVA related conspiracy theory that I recently became interested in but I’m only gonna say one word: bunker. I went on Alternative Spring Break to the Grand Canyon this year. It was one of the best trips I’ve ever been on and I made some cool new friends. One of the firefighters taught a few of us how to use a chainsaw. I learned that it’s much heavier than it looks and I should just generally stay away. Pictures really can’t do it justice. Seeing a mountain goat while on a hike one day was truly one of the highlights. I took an ENWR about memes my first year and haven’t been the same since. If you want to read my final paper just let me know. I also took a class about Middle Eastern and South Asian film festivals. One of our homework assignments was to watch a few films at the Virginia Film Festival. I would have gone even if it wasn’t assigned so it didn’t feel like homework at all. I saw two of the best films I have ever seen in my life (which is saying a lot because I’m kind of a snob when it comes to movies). The films were In Between (98% on Rotten Tomatoes) and Bending the Arc (100% on Rotten Tomatoes). I put a lot of trust in Rotten Tomatoes so you should definitely check those out. I hope this post gave you some insight on a few fun things you can do while at UVA. If you have any questions, feel free to email me at amf3qp@virginia.edu. Looking forward to seeing you around grounds! Hello incoming and prospective UVA students! My name is Brynna and I am an intern at the Office of Undergraduate Admissions this summer. I must say, I’m pretty thrilled to be here, and equally as excited to write about different aspects of UVA student life on this blog. A little bit about myself: I am a rising second year from Wilmington Delaware studying Economics and Sociology with a minor in Women and Gender Studies. Around grounds you can find me lounging on the lawn with friends, “studying” in Alderman Library, running up one of the seemingly endless hills that plague Charlottesville runners, or at any establishment that sells a good cup of coffee (I’ll be writing about said establishments on this blog). This first picture is mainly included to show you what I look like, but also as evidence of how excited I was at the end of high school to be a rising first year. That August, I moved into a dorm, and within a week started calling it “home”. I have an entire hall, an awesome RA, and a pretty standout building to thank for that. I’ll be writing about why “New Dorms” are the best dorms later this summer. I also feel obligated to include that I am less dweeby now, even if marginally so. 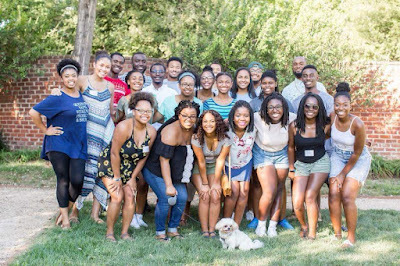 I came to UVA not knowing a single person here, but was welcomed with open arms by first years and upperclassmen alike. Whether from Montana, Long Island, or right here in Charlottesville, each new friend has made UVA a place where I can be myself and become myself. Some of them are pictured below. I’ll be including many more pictures of them throughout my blog posts, which include many first-year-related topics like Convocation, Student Health, and how to get home for breaks without a car. I found that at UVA, I can climb a mountain, grab a great bagel and a cup of coffee, and still get to my 9:30 am class. I did that twice (the first time is pictured at left). I painted Beta Bridge two times, both of which were completely unforgettable and followed by a bagel (yes, this is a theme). My first year at UVA has given me so much, from friends and experiences, to lessons learned and phenomenal professors. 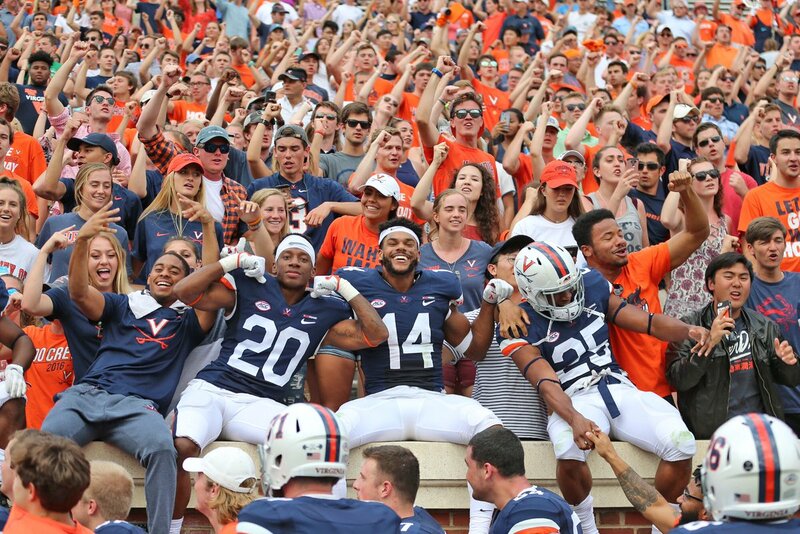 This crazy, quirky, supportive UVA community isn’t restricted to the classroom, a dorm, or even Charlottesville. It comes in the form of company late at night in the library, the freedom to sing the Good Ole Song as terribly as possible at a football game, and people who challenge and love you unconditionally, no matter where you are. I can’t wait to welcome you here on grounds, whether it’s for a tour or for four years. Feel free to email me with any questions you may have at bmg5bg@virginia.edu, and stay tuned for my posts throughout the summer!